Twig Engagement Ring (Solitaire Only) using Three White Uncut Rough Diamonds set in Gold. 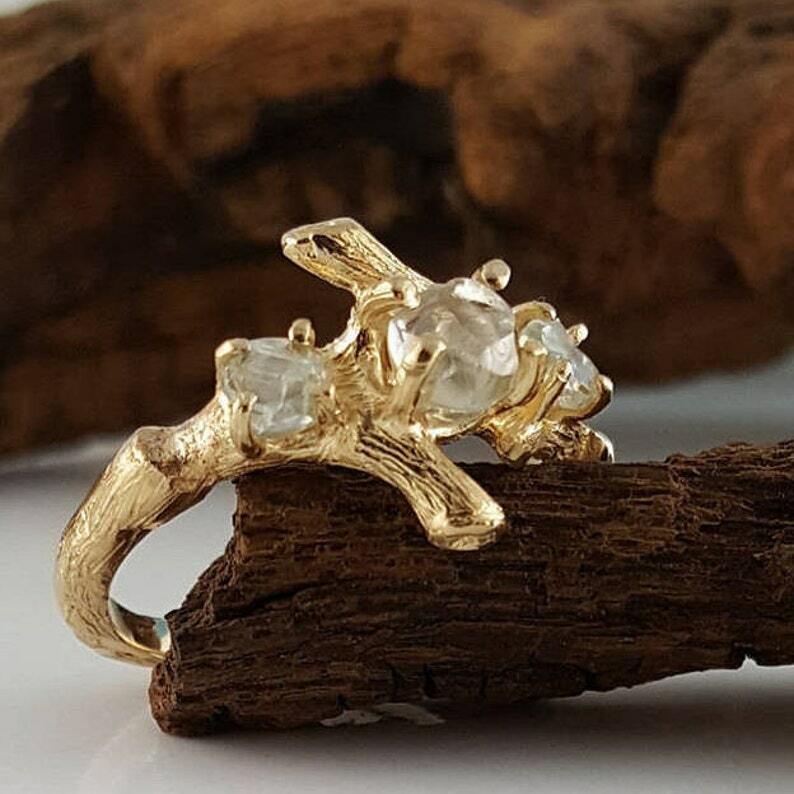 Hand sculpted Twig Bridal Set, hand sculpted, a one-of-a-kind 3 stone engagement ring or 3 stone mothers ring. I wanted to create a beautiful yet elegant premium 3 Diamond Twig Bridal Set using Rough Uncut Diamonds, so I sculpted the center branch to focus on the diamond and then added two smaller diamonds on each side. Center Diamond is 0.83 carat and the side diamonds are 0.55 carat, the combined weight of two smaller diamonds. ● Leaf Engagement ring is approximately 11mm wide at top. ● Matching Twig Band measures 1.8mm wide. ● Both Bands together are at the bottom is 3.7mm wide.